Who doesn't love the story of Thumbelina? Who doesn't love puppets? Put the two together and you have a musical puppet show which will be in Perth for several shows and playing only around Christmas time. 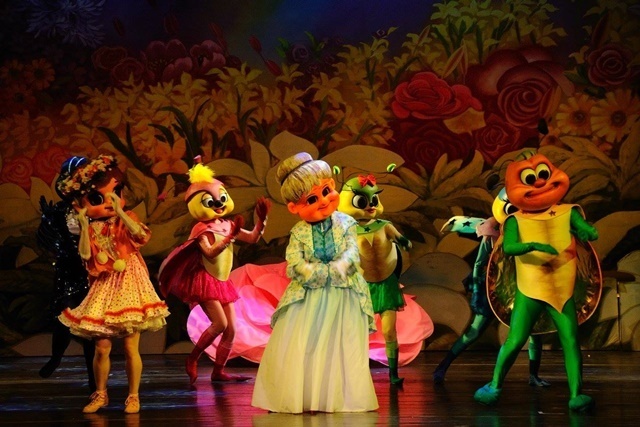 Thumbelina is one of Hans Christian Andersen's much-loved fairy tales and this show is based on his work. 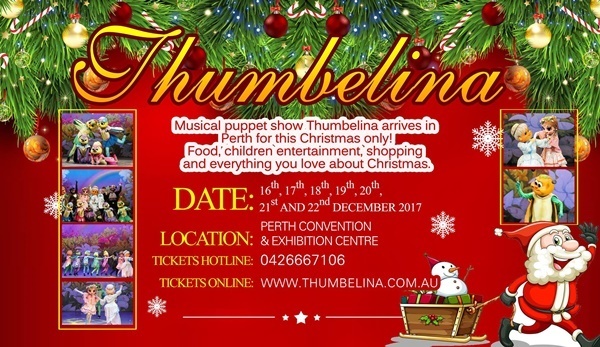 Santa will be there also and Thumbelina and Santa will bring their friends to have their Christmas in Perth. You will also get the chance to meet the clever Mr Ladybug and his children and enjoy the adventures Thumbelina goes through to return safely home with Santa. Using handmade exquisite puppets as well as up to date lighting and choreography design, this show is a must-see for the young and the young at heart. Why not give a few tickets to this show as a Christmas present - saves you worrying about what to give/buy, and it is sure to be entertaining and great fun. While you are there, Santa will be visiting and you can also have photos taken with him. Once upon a time, a kind-hearted woman lived carrying one wish in her mind - she had only one simple dream and that was to have a baby girl. Days and months pass by, but her dream did not come true. Her desire, however, to have a little girl, grows stronger and stronger. One day to make her dream come true, she visits a witch and tells the witch about her desire to have a baby girl. The witch offers her a magic barley grain and asks her to plant it. The story then tells of a flower that turns into a little girl and becomes the lady's daughter. One day, Thumbelina goes missing, causing Mrs Anna to be very worried. This story tells of the adventure Thumbelina goes through to return safely home with the help of a ladybug, bird and other friends she meets whilst lost. Some of our favourite fairy tales came from Hans Christian Andersen including The Little Mermaid and Frozen. Thumbelina is a story with inspiration from the English folklore, Tom Thumb. Both are stories about little people who were given to women as children. But from there the similarities end because Thumbelina tells the story of a sweet girl, while Tom Thumb is about a mischievous boy. 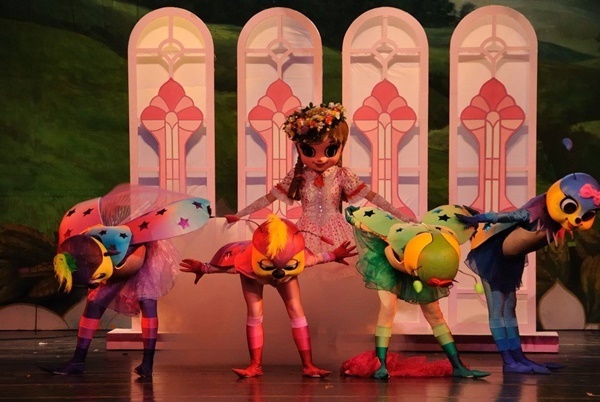 The story of Thumbelina will be delightful when told through the magic of puppets and this is a show for the whole family, despite it being based on a fairy tale. Chinese handmade puppets have a long history and are a traditional handcraft that Chinese artists used to do for a living. This craft and skill is slowly fading, as it requires a slow and methodical method. 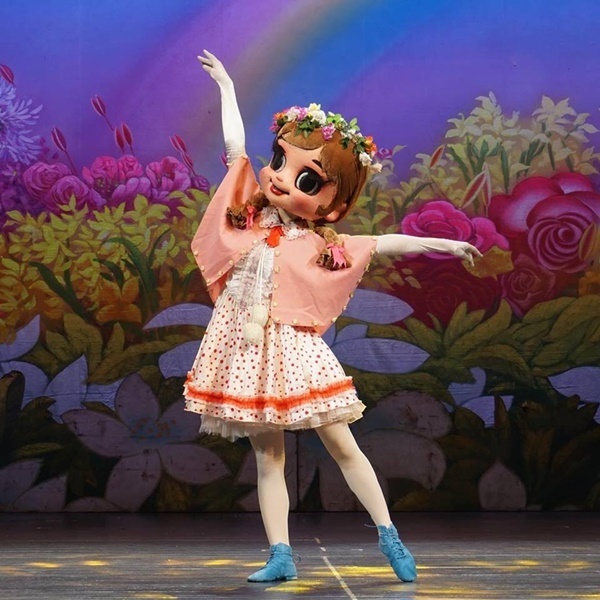 The Chinese government would like to protect and promote this traditional culture and art to children and 10 years ago they approached Meilan Music to make the first puppet show, Thumbelina. Since then, Meilan Music Production has been working on this project with the Guangzhou government and have had 5 shows and are planning to have regular shows now. 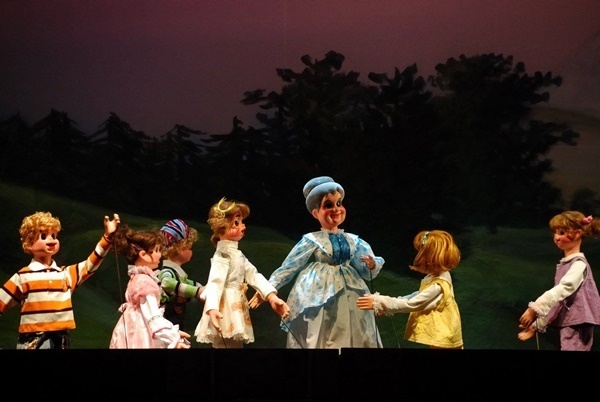 This is a puppet show but has been modified with several acts with actors dressed in costumes as the characters in the play (real-life people size costumes) - these actors also play the puppet acts. 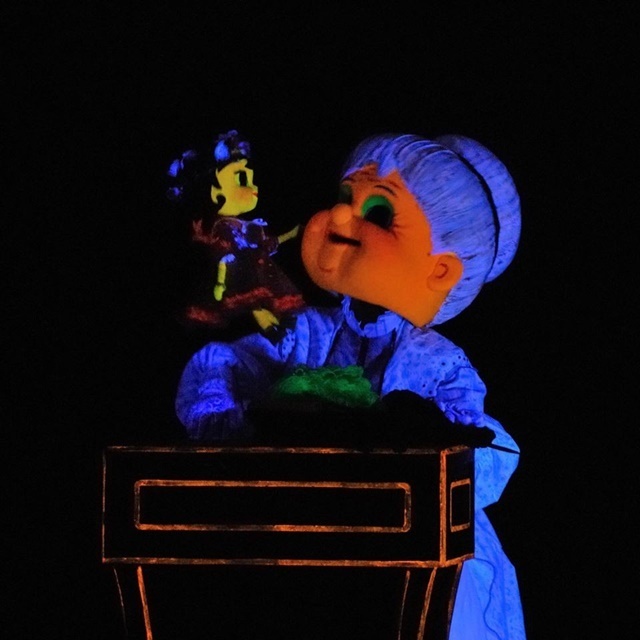 Meilan have designed special lighting functions so that people who play the puppet sometimes could be hidden so that the puppets look like their floating in the air and this will be something really new for the children of Perth. The equipment for the show is valued over $1m and the project is in partnership with the Chinese Government who are supplying the equipment. Make your bookings here, or here.